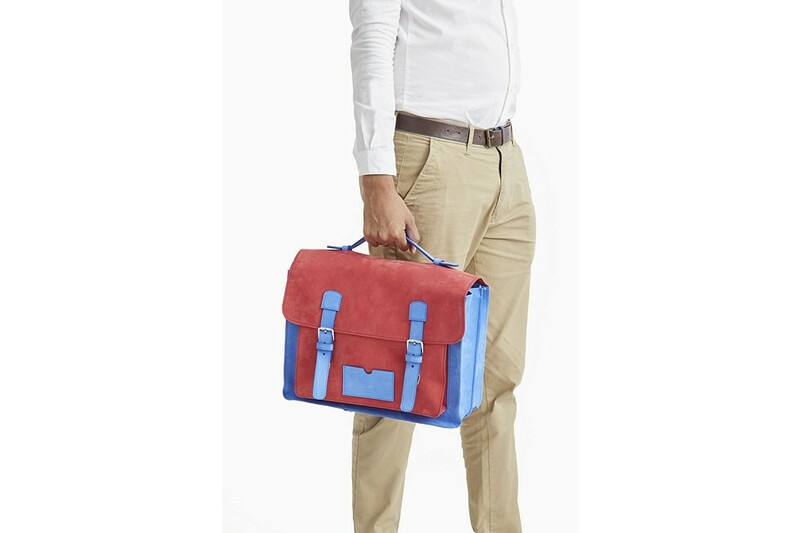 Made in authentic Nubuck leather, this satchel bag takes us back to our childhood days & school memories. Carry by hand as a school bag or on the back as a school backpack, this messenger bag can contain books, laptops, pencil kits and other useful accessories. 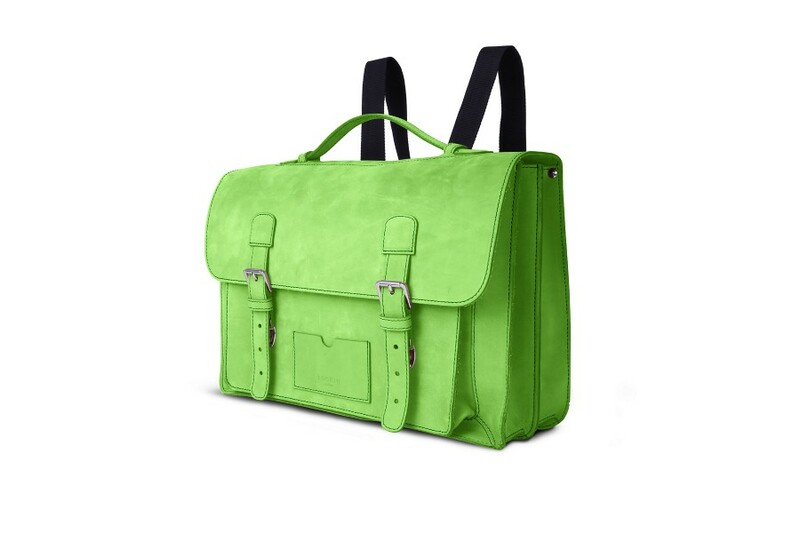 The messenger bag for men or women has a flap closure that is secured by two push fasteners and consists of 2 gussets and a central zipped pocket for extra storage. 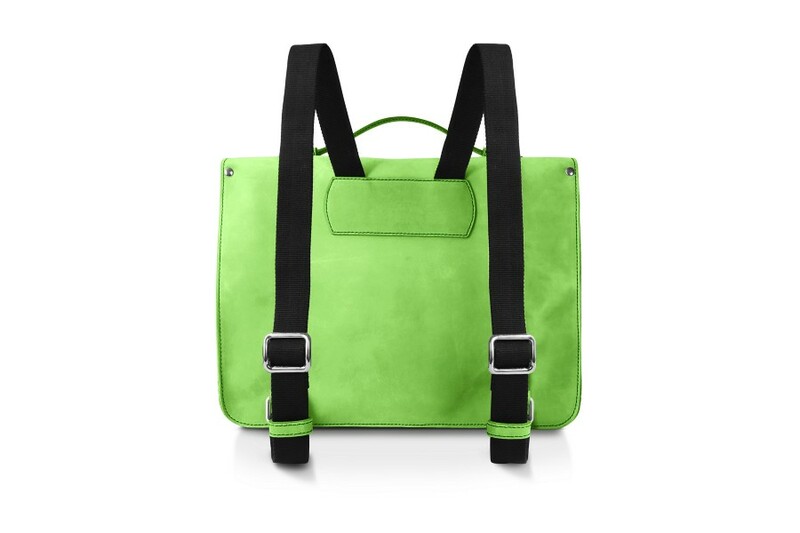 The satchel leather of this school messenger bag for women or men is available in a beautiful choice of colors. 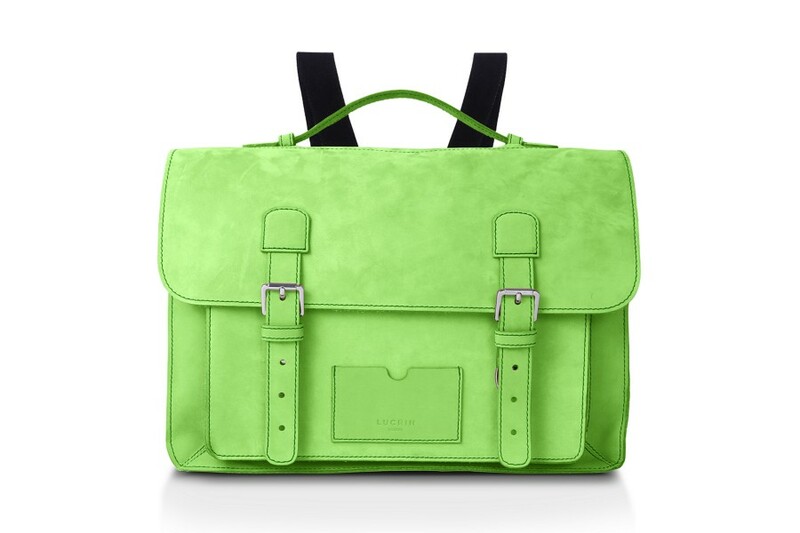 You may even order this leather satchel bag in a bicolor version for an absolutely outstanding school bag for you or your kids. Get a unique custom made engraving for a sumptuous gift to your darling.